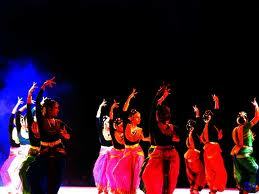 Rajgir Dance Festival is Coming on October Month Every Year and This Year 24 Oct to 26 Oct 2012. 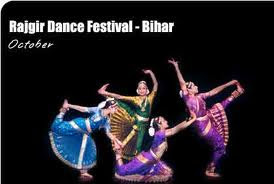 Rajgir Stay in Bihar.Rajgir DAnce Festival is Large Celebration in BIhar india.This festival is organized by the Department of Tourism, Bihar. 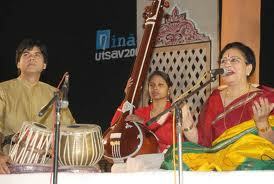 This festival continues for three days. Rajgir was the historical capital of the Magadha Empire. Lord Buddha and Lord Mahavira had spiritual connections this place. Thus both the Jains and the Buddhists consider this place to be very holy. 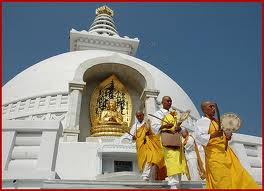 Rajgir is also far-famed for its connection with Shishunaga Kings Bimbisara and Ajatashatru. History says that Ajatashatru kept his father Bimbsara in imprisonment in this place. Though there are differences with Buddha's royal coevals that Bimbisara and Ajatashatru were responsible for the establishment of Rajgir. Ajatashatru is also accredited with shifting his capital to Pataliputra which is modern Patna. Holding a sterling position in the Indian Cultural Calendar, Rajgir Mahotsav is the ultimate destination for the connoisseurs of Indian cultural form of expression of the self. 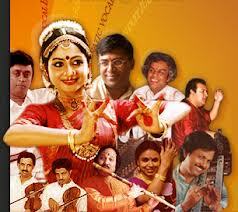 Be it instrumental music, devotional songs, opera, folk dance, ballet or the many schools of classical dance and music, geniuses in their own realms of accomplishments, create an almost ethereal atmosphere to electrify true devotees. 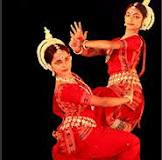 In the past, some of the great artists who have performed at the festival are Sonal Man Singh, Hema Malini, Sanyukta Panigrahi, Nalini-Kamalini, Swapna Sundari, Shovna Narayan, Madhukar Anand, Madhumita Roy, Amita Dutta, Mukund Nayak, Madhavi Mudgal, Leela Samson and Anand Shankar. 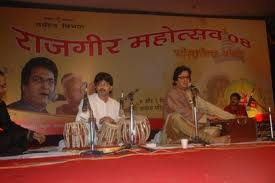 The sanctity of Rajgir is aptly acclaimed by the performance of such respected artistes, who, in their humility, feel blessed by this land of the holy. Historically, the king of this place Jarasandha, was defeated by Lord Krishna 17 times. When it came to the 18th time, Krishna had left the place without a war. Also according to Mahabharata one of the Pandavas Bhima had split Jarasandha into two halves and threw both in opposite directions. Jarasandha was invincible as his body could rejoin any dismembered limbs. There is a famous Jarasandha's Akhara(place where you practice martial arts). 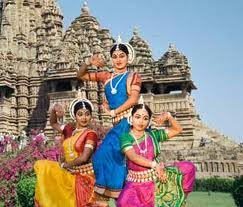 In order to reach Rajgir Dance Festival by air, you can board flights from the major airports of the country to Patna. From Patna Airport, you can hire taxis to arrive at the venue, which is at a distance of just 105 kms. The nearest railway station to Rajgir is at Gaya. The station is well-connected to the other cities of Bihar and other cities of the country. You can take buses or hire taxis to reach the venue that lies at a distance of 95 kms. Rajgir is well-connected to Gaya and Nalanda. 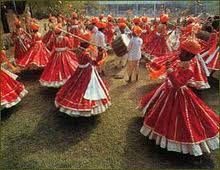 One can take regular buses or hire cabs to reach the venue.